Well, how shocked was I when I got my update to tell me, the mineral pigments eye-shadow’s were about to begin their path in to the sunset. These pots of joy are highly pigmented, apply like a dream and are quite versatile!! I’m rather pleased I managed to bag myself a few before the frenzy began 😉. 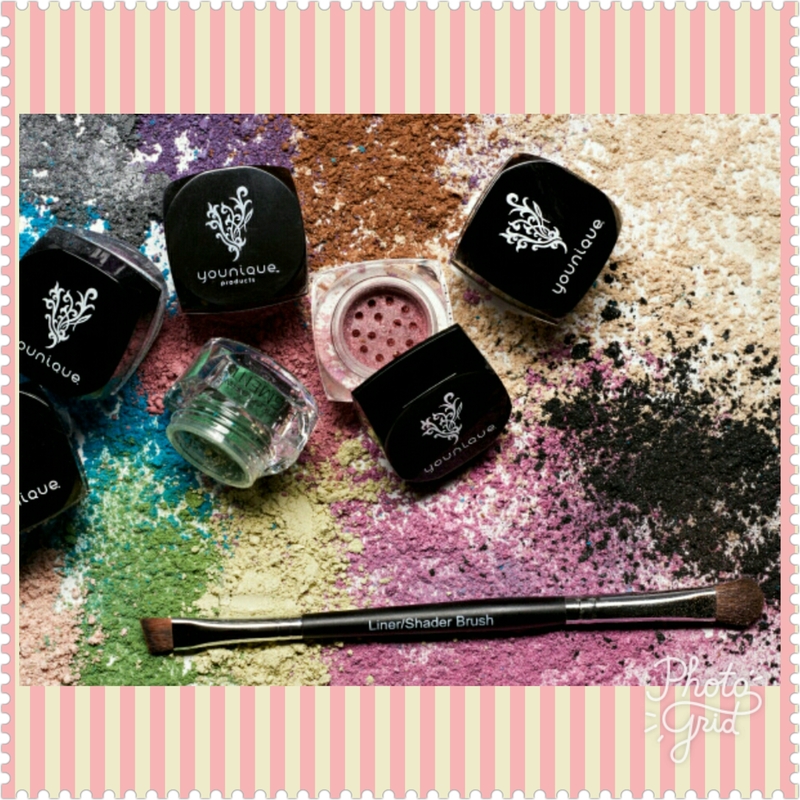 So, to say goodbye in true fashion, July’s monthly Kudos gets you a FREE liner/shader brush when you purchase 6 of the pigment powders at an amazing price!! Once stock has been depleted, that’s it. When they’re gone, they’re gone!! There is such a range (or a least what’s left 😜) of shimmers and matte’s. Because of how pigmented they are, a little goes a long way. But who wants to stop at just using them for one purpose?!?! 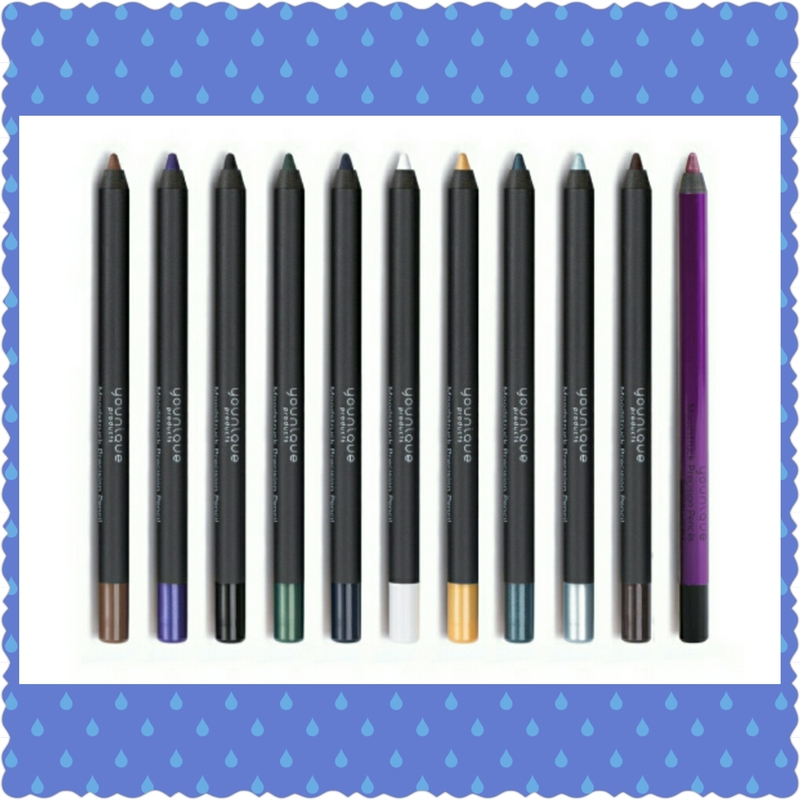 These little beauties can be used wet, to use them as a liner!! What more could you want from this amazing product. I know the months nearly gone but things have been up and down more than a yo-yo. This months kudos is the Believe Your Eyes collection. Not only is there a massive discount (20%) on the individual retail price but there’s also a FREE branded drawstring!! So, what’s in the collection? – Moodstruck Addiction Shadow Palette – your choice of palette!!! – Moodstruck Precision Pencil Eyeliner – your choice of colour!!! You get to choose you palette and pencil once you click to purchase and after that, you click to add to basket. Where, hey presto…. The branded drawstring bag is added completely free of charge!! All this and a massive saving of 20%, making the final price only £58 / $75.43 US / $101.21 AUS / €67.33!! It seems like forever since I last managed to get any words down and published. But I’ve had such a trying time this last few weeks and it seems its going to be that way for a little while longer. With all this going on, its made me look at what I’m doing and made me think what’s working and what I need to change. Back in January, it was down to another of my little thinking sessions that I realised something was missing and took a look at how I could start making some changes. One of my biggest changes and moves was to set up another part to my business and expand into makeup and skincare. When I did this, I had no idea that I would stumble across so many lovely, thoughtful, helpful and kind ladies. I have made so many new friends and regained the confidence that I’d been missing for so long. Over the past years, the dents I’ve suffered had managed to squeeze most of my spirit and personality out of me. This had left me with a massive question mark hanging over me. Then when I started my adventure into the world of beauty, I got a further kick in the teeth, when so called friends showed their true colours. So when I received my kit and started chatting to the ladies within my team, it was like a breath of fresh air! I’d finally found like minded ladies and my circle of friends began to grow. I started my training and soon realised that not only was it helping my makeup and skincare business, but my beauty business and ME!! I say helping but when I think about it properly, its more like growing. I pushed myself to start making short videos, instead of plain old posts. Then something inside me jumped up and said “push to the next level” and before I knew it, I was doing my very first live feed!! Facebook first, then periscope. My next one is Instagram, it’s been left to last as this is where I have my biggest following and I’m slightly more nervous. So what has Younique actually done for me? I have regained the confidence and personality that had all but disappeared. I have learnt work on my personal development at all times. I’ve made so many new friends and gaining more by the day. I’ve learnt things about skincare, makeup application and a whole lot more. All in all, its made and making me a better person whilst also being my business. If your looking for a sisterhood; ways to boost yourself and your confidence; expanding your knowledge; have fun, all whilst building yourself a business. Then look no further and join me today! 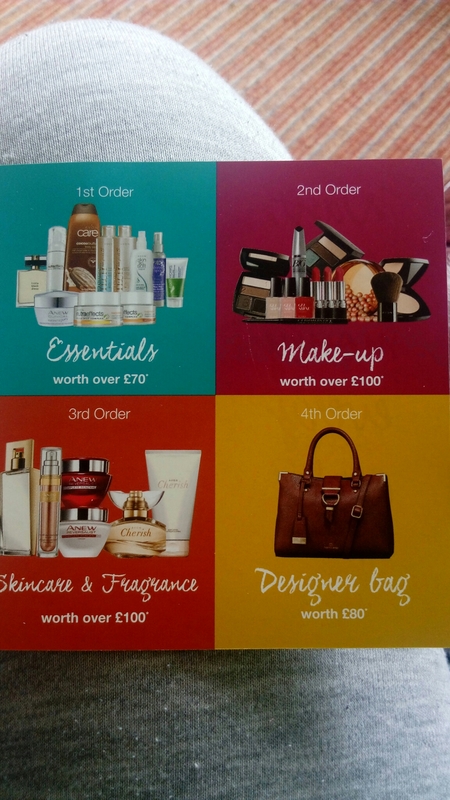 As some will know, I have started as an Avon Rep to run alongside my beauty adventures. My first campaign was a short one, I had two days from when my brochures were dropped until the deadline for campaign 1, so I thought “why not?”, you never know what’s going to happen. More to the point, there’s goodies to pick up as gifts if you get over a certain level but if not, you can purchase them at a mega low price!! I don’t really mix with many in my street, let alone the village and I only had a couple of brochure 16. Where do I start? Were my first thoughts. My next door neighbour was the first to mind, (the only one I actually speak to) and off I went. Before the door could open properly and my mouth open, the brochure was gone!! Brilliant, I’d made the right decision and I was off!! When I got back in the house my mind was already whirring as to who should I go to next??? Hmmm…… I suddenly remembered that my father in law loves black suede. So we rang and bingo, the next brochure had a home. I knew I’d seen an awful lot I’d wanted on my last order but not managed to get it. So I sat down with the brochure and found everything I wanted. The morning the order was due, I collected the orders and processed them. Between the three of us, I’d managed to get the lower level, which enabled me to get the essential pack for £15. Yes, free would’ve been better but I was more happy to have started. The essential pack contains over £70 of the essentials (moisturiser, perfume, samples, face wash, dry oil spray etc), so even though it wasn’t free, I was more than happy to pay £15 for it. I’ve just submitted my second order and I’m over the moon with how much I’ve put in!! I couldn’t believe the amount of orders I’d collected and I’d only done a couple of streets. I’ve started on the other half of my estate now, then its out in to the rest of the village. Now, the other day I had a little option waved under my nose and I’m tempted to go for it if I can raise enough interest. The next step for me, would be team leader. It’s proving a lot harder than I thought right now, but I will keep going and see what I can come up with. Keep a look out for my reviews, I have one underway! !